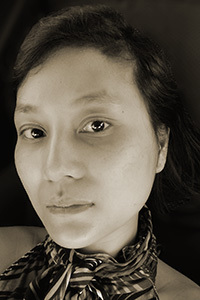 Vi Khi Nao is the author of the poetry collection The Old Philosopher (Nightboat Books, 2016), which won the 2014 Nightboat Books Poetry Prize. She is the author of the novel Fish in Exile (Coffee House Press, 2016), and two novellas: Swans In Half-Mourning (Per Second Press, 2013) and The Vanishing Point of Desire (Fugue State Press, 2011). Her manuscript, A Brief Alphabet of Torture, won the 2016 Ronald Sukenick Innovative Fiction Contest. She earned an MFA in fiction from Brown University, where she received the John Hawkes Prize in Fiction, the Feldman Prize in Fiction, and the Kim Ann Arstark Memorial Award.